When I think of San Francisco, I think of an Authoritarian/Militant Police Officer surveying the land for pretty flowers to stomp on. All those innocent Eschscholtzias! And you know what he does after grinding his boot into them? He salts the earth. 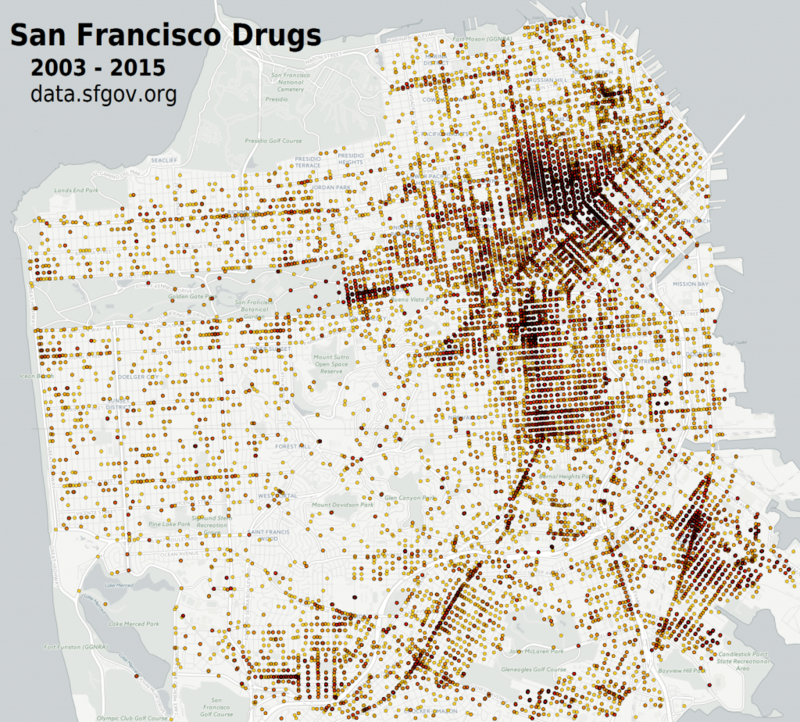 Here is just over 12 years worth of San Francisco Police Department’s Drugs and Narcotics. Data is from data.sfgov.org. This is a Torque map I made using CartoDB. 12 years in 20 seconds. This entry was posted in DataViz on 06/08/2015 by MantasCode.